The bespoke garden room or summer house is a garden building to be proud of, especially as you can be sure that your friends and neighbours won’t have one that looks the same. If you’re looking for a customisable summer house that’s just perfect for you call us today at Abel we can make your dreams a reality. 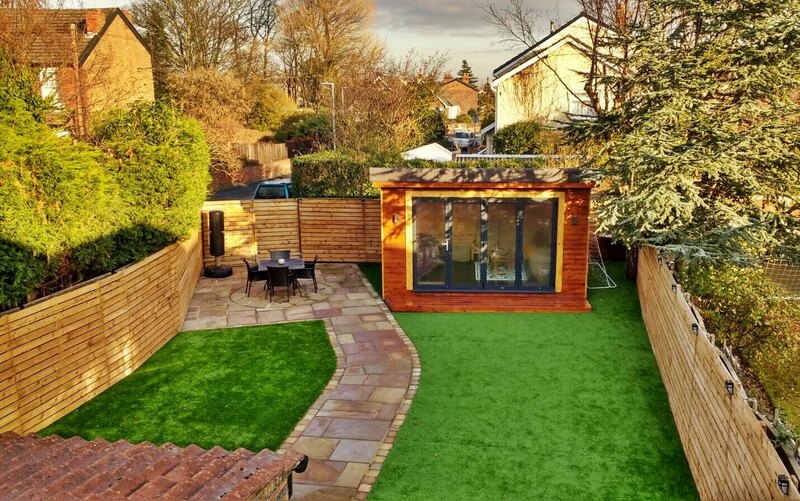 To have your own garden room, you don’t particularly need a large garden, garden rooms come in many shapes and sizes from small pods for just small office space to larger rooms suitable for entertaining. We can install lights, electricity and central heating to your garden room to make it feel like a home and useable all year round. Garden Room is far more thermally efficient than a conservatory, which means that you can use it as a space for everyday living, whether it is summer or winter. Its energy efficiency also comes alongside superior soundproofing, which is important in this room that you want to be able to use all year-round. These garden rooms are great at any time of year, thanks to their heat-capturing features. So, there’s no need to imagine that a garden room is just for warmer weather. The garden room is more like a house extension than an ‘add-on’ structure, in both use and appearance. Also, compared to a traditional brick-built house extension, the garden room can have a simpler construction and a lower cost. 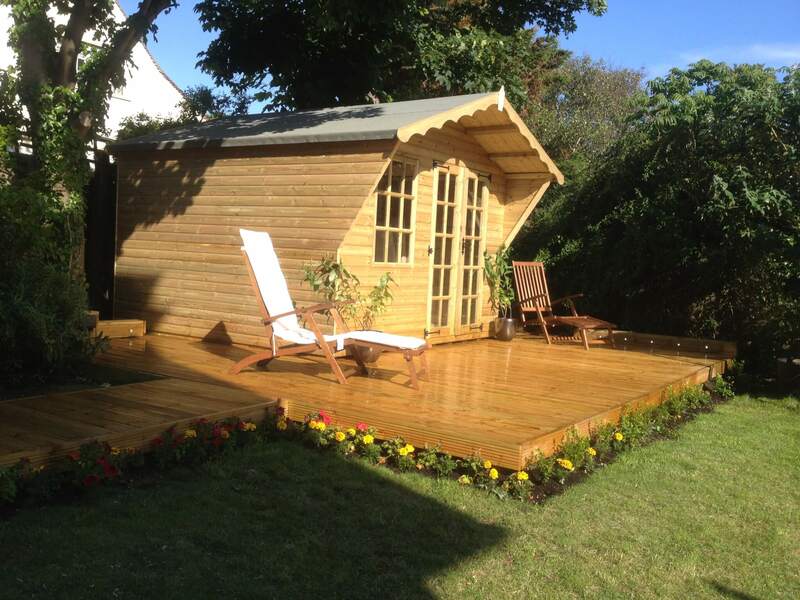 In order to enjoy your summerhouse throughout the whole year adding electricity is essential. The type of lighting you use in your summerhouse is completely dependent on how you intend to use the room. Florescent tube lights give even light which is great for a home gym or studio. If you are planning to spend time working at a desk I would recommend adding spotlighting around your work area. Summerhouses that are purely for leisure will benefit from soft overhead lighting or pools of warm light created by floor and table lamps. If you want to spend time in your garden summerhouse all year round, you’ll need to make sure it’s a homely place to be. That doesn’t just mean kitting out your garden-based getaway with comfy chairs, cushions and throws either. Ensuring that your summerhouse or Garden room is just the right temperature inside installing insulation can help you to do this. Insulating a garden room will enable you to make the most out of it. You and your family will be able to snuggle up in your garden-based haven in autumn and winter and relax in it with a cool drink while enjoying close-up views of your garden in spring and summer. We also offer a wide range of other optional features, including the roof ,floor insulation, heating systems, and electrical packages. If you are interested in a bespoke garden building in order to maximise your living space, get in touch. We can design it in a way that is best suited for its purpose. You can contact us by phone to discuss or request a call back by filling out the contact form provided.